Not only do I love the speed of stir-fries, I also appreciate the organization. Each ingredient has to be prepped and ready for the hot skillet. If you forget to mince the garlic, it could result in burnt scallions. 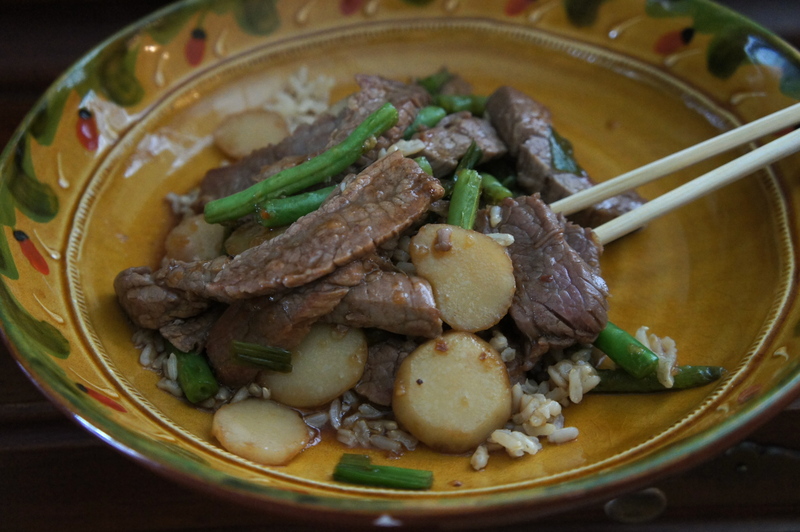 I’ve really come to love Asian recipes. Since my pantry has been stocked with rice vinegar, oyster sauce, hoisin sauce, sesame oil, chili-garlic sauce, etc. I find myself gravitating towards the quick concoctions. Stir-fries also lend themselves to customization. This recipe for instance didn’t call for water chestnuts. So I added them in! 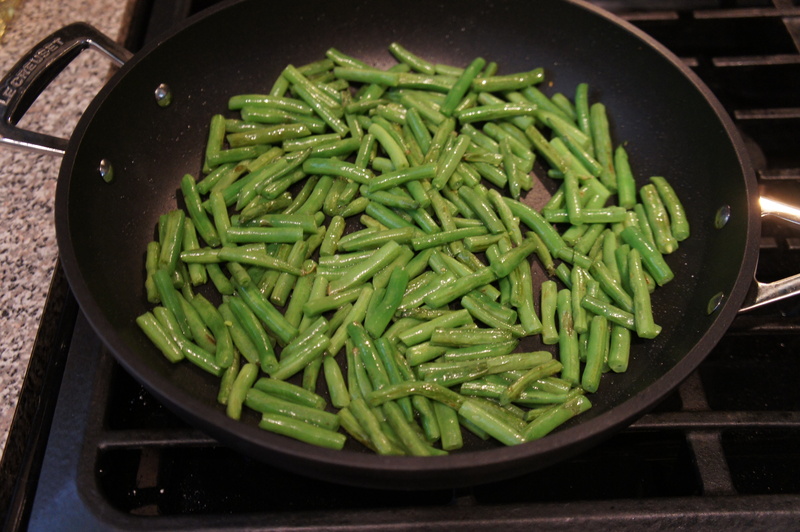 Next time, I think I’ll substitute the green beans for asparagus. Heck, maybe I’ll even throw in some tofu. I’m crazy like that. Whisk oyster sauce, broth, soy sauce, vinegar, and pepper flakes in bowl. Heat 1 tablespoon oil in large nonstick skillet over high heat until just smoking. Add beans and cook, stirring occasionally until spotty brown, 4 to 6 minutes. Transfer to bowl. 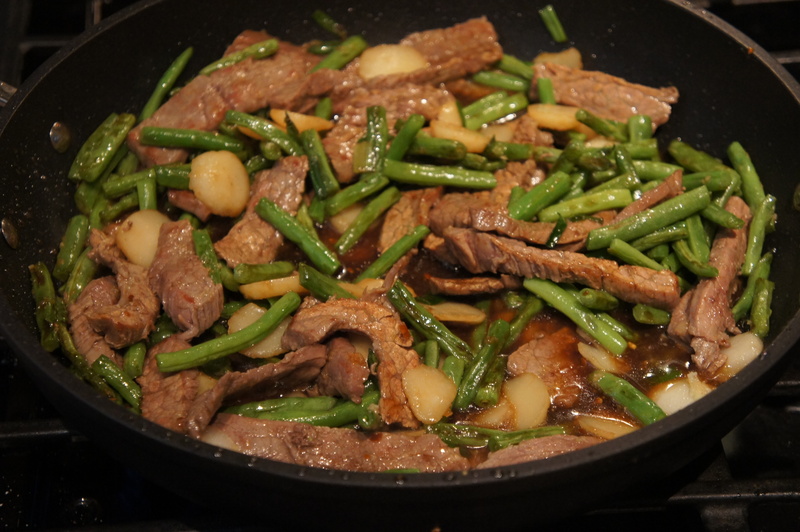 Heat additional 2 teaspoons oil in empty skillet and cook half of steak until browned, about 1 minute per side. 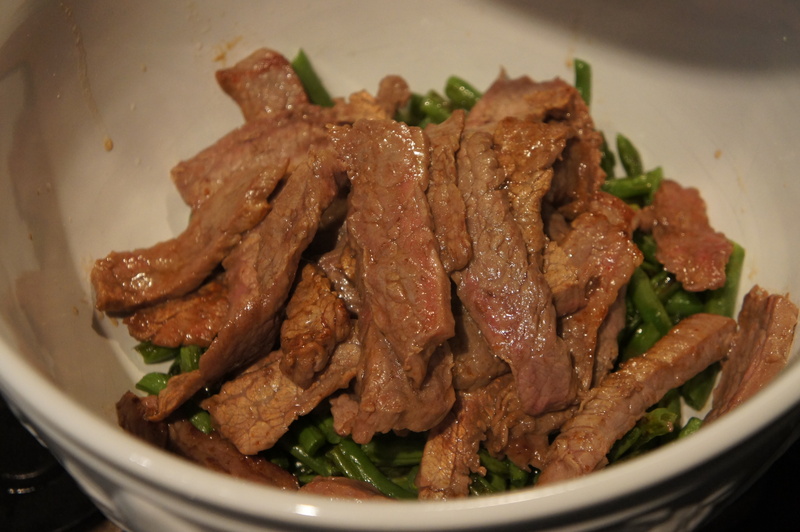 Transfer to bowl with green beans and repeat with additional 2 teaspoons oil and remaining steak. 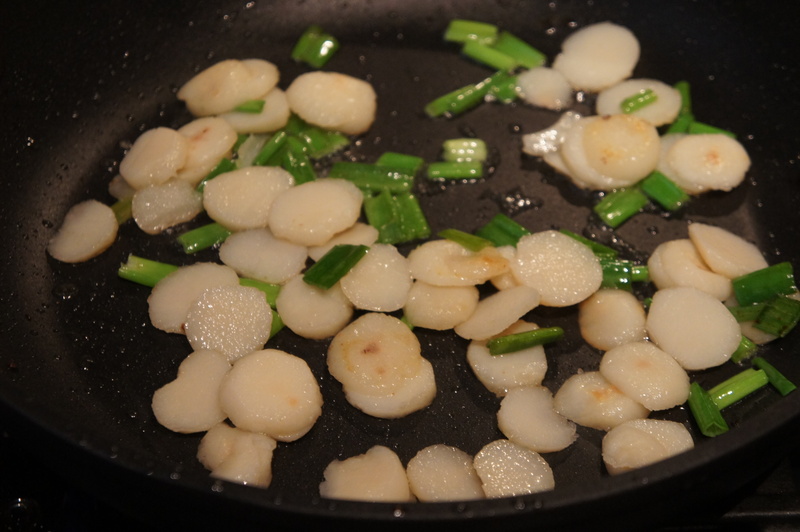 Add remaining 2 teaspoons oil to skillet and cook scallions and water chestnuts until scallions are browned in spots, about 2 minutes. Add garlic and ginger and cook until fragrant, about 30 seconds. Return steak and any accumulated juices to pan. Add oyster sauce mixture and cook until thickened, about 30 seconds. Serve.